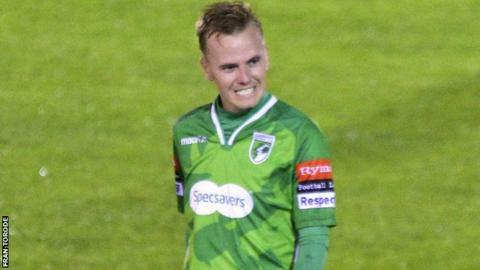 Guernsey FC boss Tony Vance says he "fully respects" the choice of forward Marc McGrath to leave the Isthmian League Division One South side. McGrath, 30, scored 52 goals in 144 games for the club, but has decided to step away from football altogether. "I think it's just the fact that he doesn't feel he could 100% commit to the cause," Vance told BBC Guernsey. "People forget that they're amateurs, and what they're doing is virtually professional in terms of commitment." McGrath was the Green Lions' top scorer in the 2014-15 campaign, but spent much of last season injured. "These lads have given an awful lot - obviously Crush (McGrath) has done it for a while now and I fully respect his decision," Vance added. "Ultimately we've got some young lads coming through and it gives them the opportunity - you've got people like Paris (Pereira) and Robbie (Legg) who can be with this club for the next 10 years, and really push us on."